Ambassador Alkar is a guest aboard the Enterprise while en route to negotiate a peace treaty. 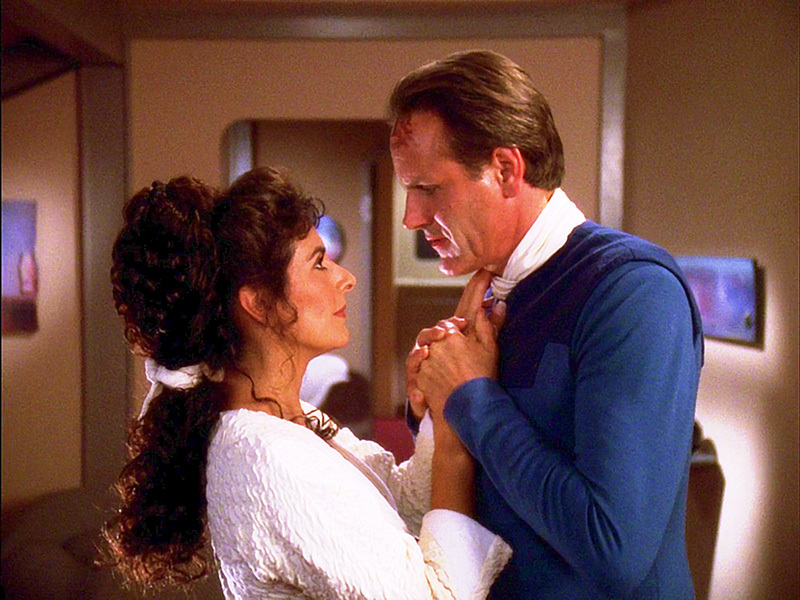 When he shows up, Deanna Troi starts doing things she doesn’t normally do: showing a bit more skin, lashing out in a jealous rage, and stabbing Captain Picard. Could this all be related? Man of the People joins us this week on Mission Log.